Agriculture together with land-use change, much of which involves deforestation driven by clearing for crop and livestock production, accounts for nearly a third of global greenhouse gas emissions (GHGs). The sector’s direct emissions (10-12% of the global total) come from various sources, including the release of carbon dioxide through tillage, of nitrous oxide as a result of fertilizer use, and of methane from livestock and irrigated rice production. While agriculture is clearly among the culprits of climate change, the sector is also a victim. 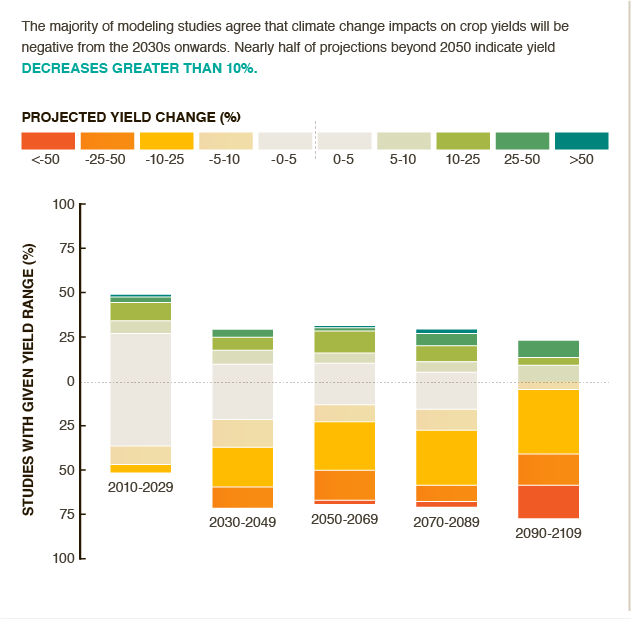 According to a growing number of simulation studies, the impacts of climate change including higher temperatures, more extreme weather, and worsening disease and pest problems could significantly reduce the yields of important grain crops, such as beans, maize, potato, and wheat. At the same time, climate change will bring about notable shifts in the suitability of agricultural land for a wide variety of crops. 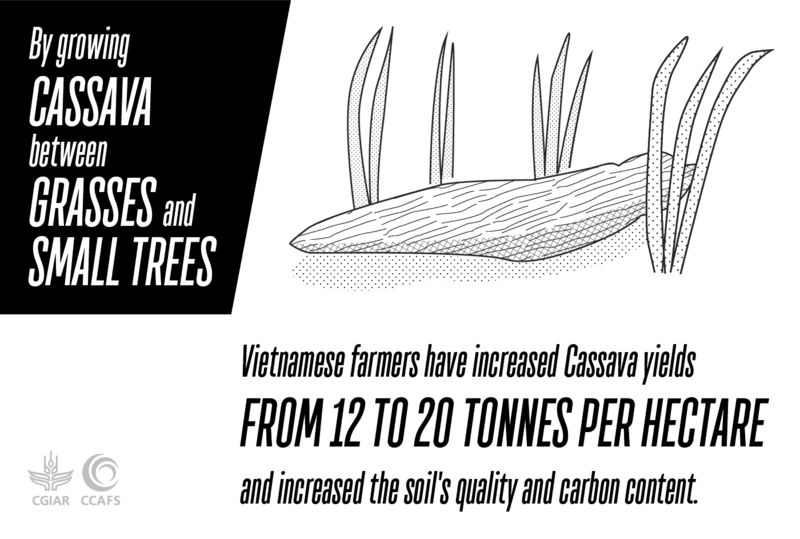 Some species (like banana and cassava) could emerge as overall winners, while others will tend to lose ground, literally. 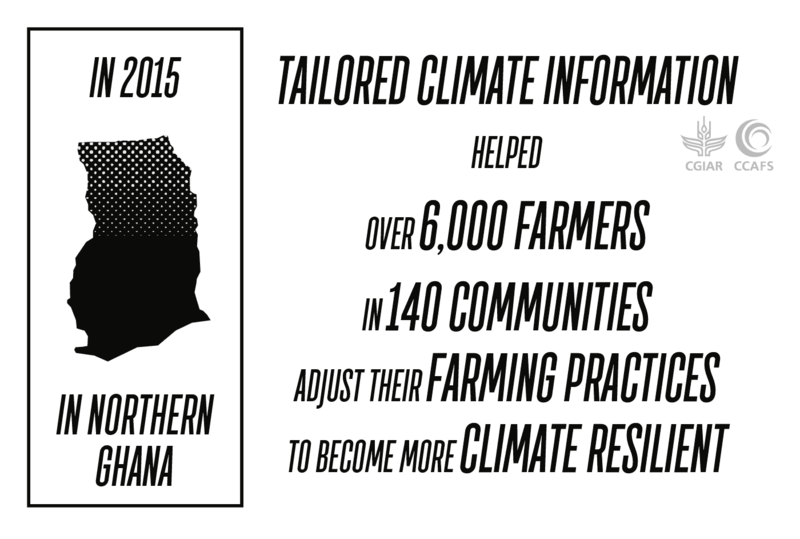 CIAT generates knowledge about climate change impacts, identifies adaptation options for the rural poor as well as options that can help mitigate climate change. 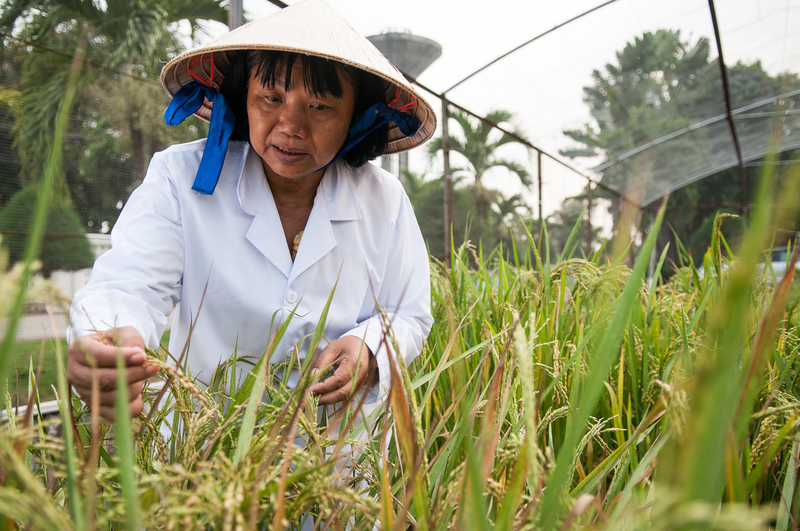 CIAT research on crops has made significant strides in developing new generations of more resilient varieties, such as drought-tolerant rice and beans, insect- and disease-resistant cassava, and superior tropical forages adapted to drought, flooding, and other harsh conditions. Some of the latter also show great potential for sequestering carbon and reducing nitrous oxide emissions. Center specialists in soils are exploring the close links between improved soil health and climate change adaptation and mitigation. 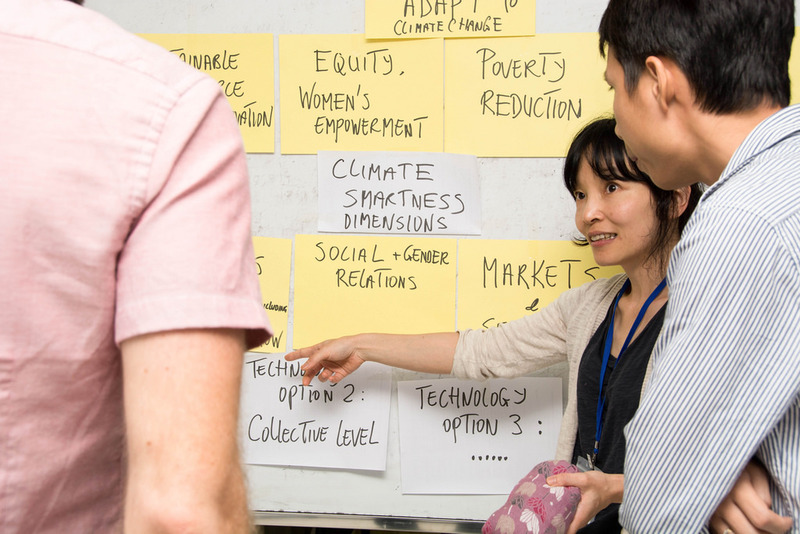 Center experts on decision and policy analysis are developing and applying novel methods to project the likely impacts of climate change on agricultural production. One such tool, called Climate Analogues, permits comparisons between projections of future climates at specific locations and similar conditions already existing at other sites on the same or other continents. In addition, CIAT scientists are assessing best-bet policies and actions to enhance farming systems and ecosystem services, despite a hostile future climate. The quick and easy-to-read Climate-Smart Agriculture (CSA) country profiles, developed by CIAT and CCAFS, in partnership with the World Bank, Costa Rica’s CATIE, and USAID, give an overview of the agricultural challenges in 12 countries, and how CSA can help them adapt to and mitigate climate change. 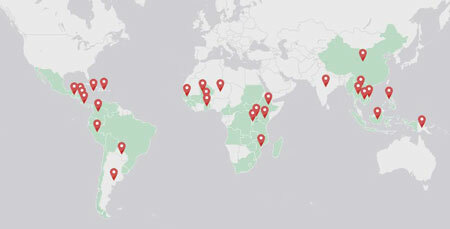 CIAT is lead center for the CGIAR Research Program on Climate Change, Agriculture and Food Security (CCAFS), and much of the Center’s work contributes directly to the global efforts of CCAFS. 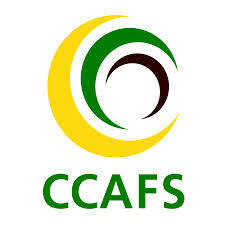 Since no single organization alone can address all aspects of the climate change challenge, CCAFS unites diverse partners, bringing together many of the world’s best experts in agricultural research and development as well as in climate and earth system science. Together, CCAFS partners examine the effects of climate change on agriculture and food security and test options for adaptation and mitigation in close consultation with farmers, policy-makers, donors, and other experts. The agriculture sector is highly exposed to challenges caused by climate change. Worldwide, governments are facing the task of meeting the commitments made at the Paris Agreement, i.e. limiting global warming to below 2 °C by drastically reducing global emissions by 2050, while simultaneously having to feed a growing population with changing diets. Effectively addressing these challenges requires a paradigm shift in national and international agricultural policies. The active involvement of multiple players such as donors, policymakers, as well as businesses, is crucial to achieving this goal. The complexity of the challenge requires multi-disciplinary scientific advice for long-term planning. 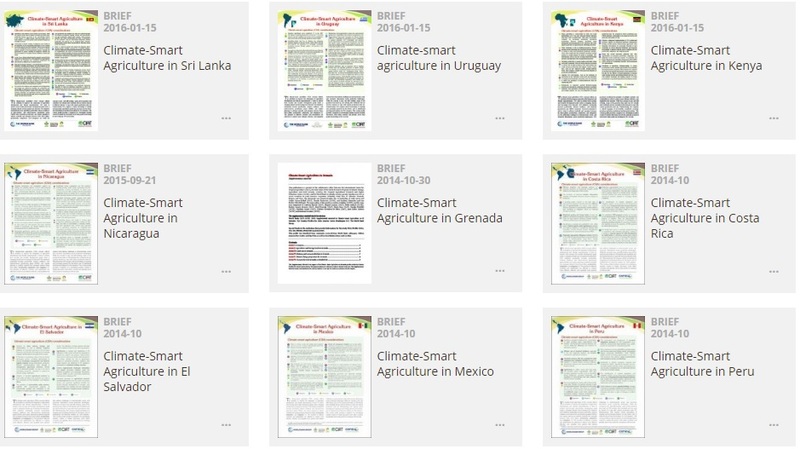 Quick and easy to read, the Climate-Smart Agriculture (CSA) country profiles give an overview of the agricultural challenges in 12 countries, and how CSA can help them adapt to and mitigate climate change. Developed by CIAT and CCAFS, in partnership with the World Bank, Costa Rica’s CATIE, and USAID’s Bureau for Food Security, the majority cover Latin America, as well as part of Africa and South Asia. 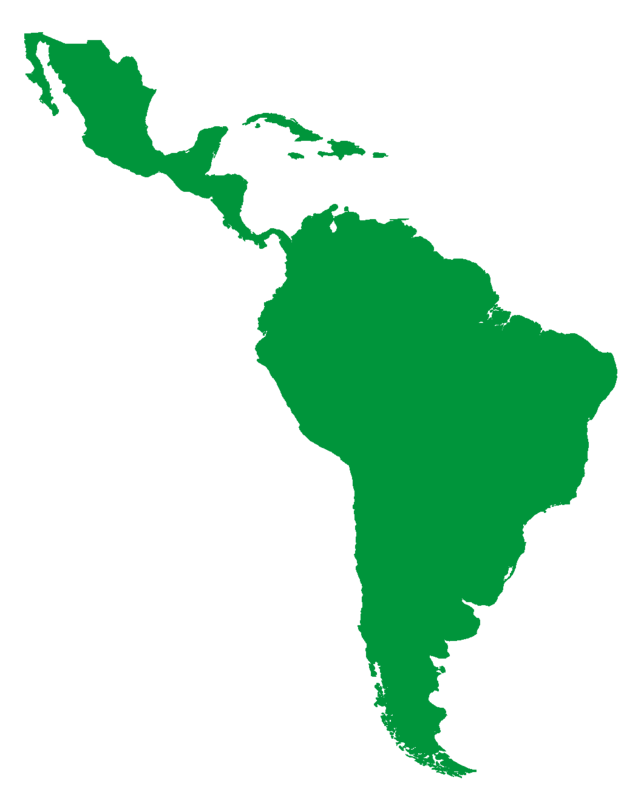 The following profiles are now available: Argentina, Colombia, Costa Rica, El Salvador, Grenada, Mexico, Peru, Nicaragua, Uruguay, Kenya, Rwanda, Senegal, Sri Lanka, and Moldova. 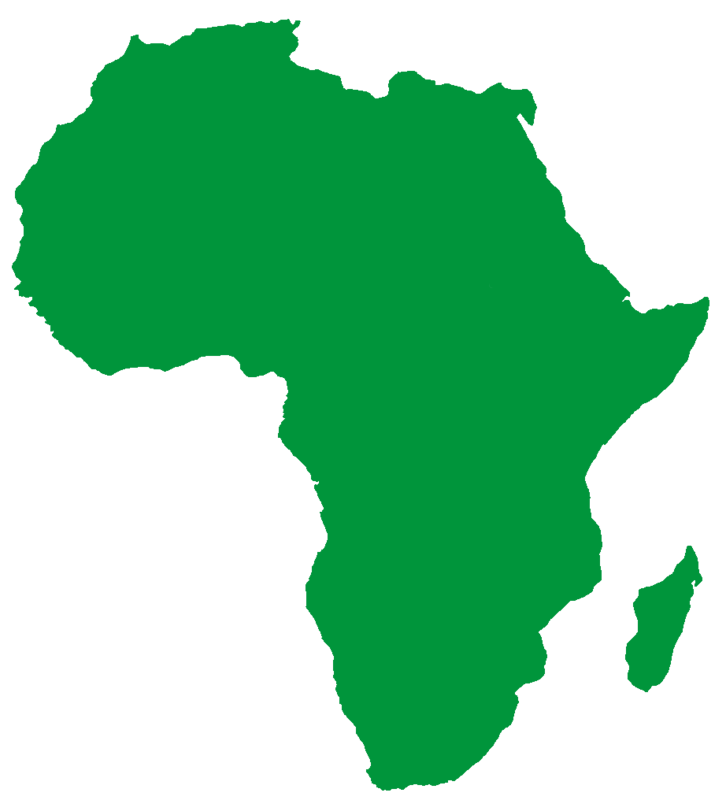 Scientists are currently developing profiles about: Ethiopia, Ghana, Mali, Niger, and Uganda. Using one or more global climate models, the analogues tool takes climate and rainfall predictions for a particular site and searches for places with similar conditions at present. Armed with the knowledge of what they may face in future, farmers, researchers and policy makers can determine their adaptation options based on real models. The tool can also track historical data to learn how communities have adapted – or have failed to adapt – to climate change over time. Importantly, it helps capture the real world capacity of farmers to adapt, which is too often not taken into account in catastrophic climate models. Users of the tool can include variables such as crops, soils and socio-economic indicators in their searches. The CSA-RA provides an assessment of key barriers and opportunities to climate-smart agriculture (CSA) adoption across landscapes by collecting gender-disaggregated data, perceptions of climate variability, resource and labor allocation, as well as economic assessments at the household level. 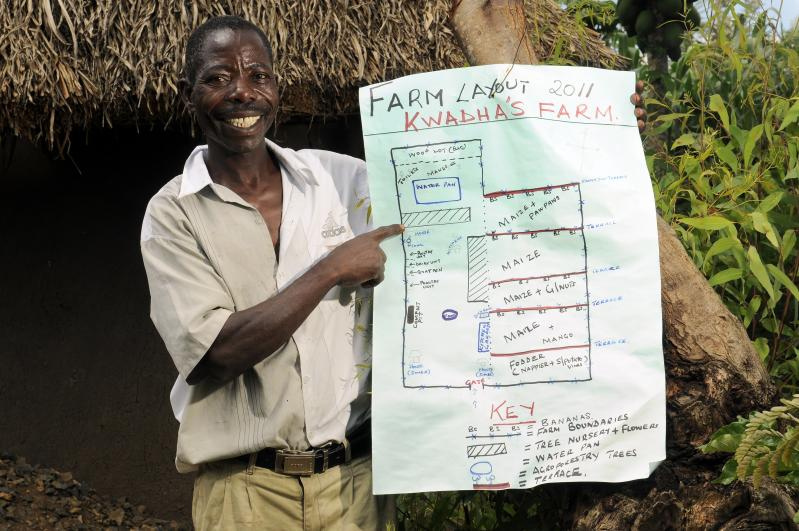 This approach combines participatory workshops, expert interviews, household/farmer interviews, and farm transect walks to gather and capture the realities and challenges facing diverse farming communities. 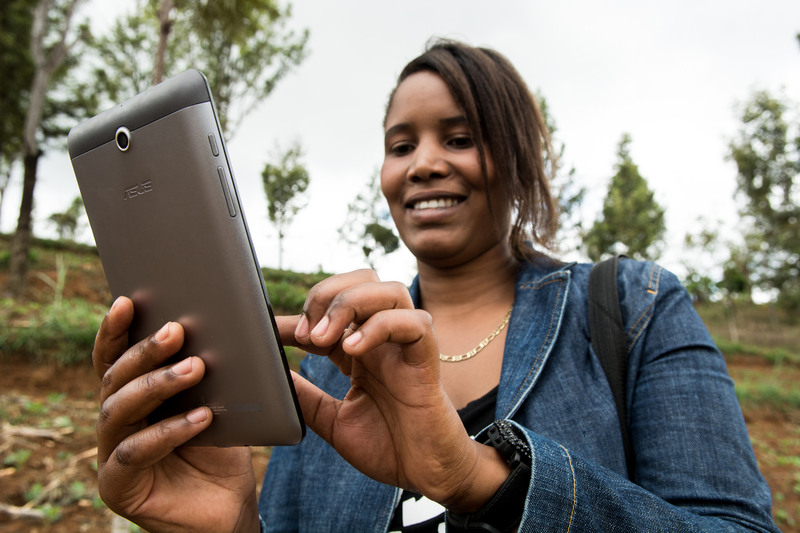 The CSA Implementer platform is a crowdsourcing tool used to collect and share relevant data for monitoring and scaling out promising climate-smart agricultural practices. A mobile phone application supports knowledge exchange. For example, farmers can ask extension workers questions and be connected to national and international CSA experts. Lessons learned, spatial observations, and issues can be documented by local experts and attended to by experts through the interactive platform. Best practices of CSA implementation are spatially documented and can be out scaled to other similar regions. Routine field trials by plant and livestock breeders generate information that can boost efforts to model climate impacts and plan for adaptation. But the original data are often never published. 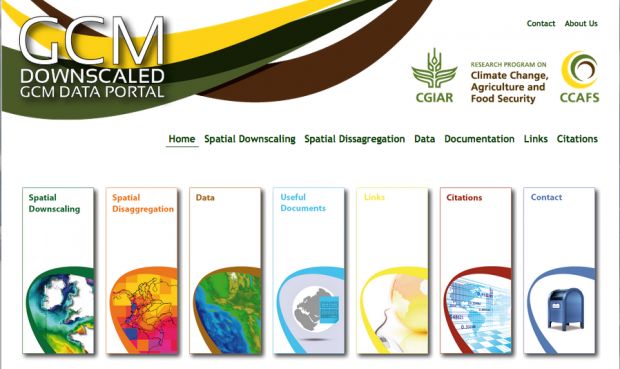 CIAT, CCAFS, and partners created the AgTrials information portal to gather and standardize these data sets. It now comprises 35 000 trials of 42 different crops, livestock and technologies. Through a partnership with the AgMIP modelling initiative, AgTrials data are helping researchers create detailed multi-scale models of agricultural production in a changing climate. Such models can be used to explore future scenarios and guide adaptive crop breeding. The Climate Wizard enables technical and non-technical audiences alike to access leading climate change information and visualize the impacts anywhere on Earth. With Climate Wizard users can: view historic temperature and rainfall maps, view state-of-the-art future predictions of temperature and rainfall, and view and download climate change maps in a few easy steps. The website is designed to be integrated within the government or other institutional websites to provide a seamless look and user experience. CSA-Plan is a guide for CSA planning, programming and implementation. Sitting within each component of CSA-Plan are information, tools, and approaches to enable action. Engagement and capacity building are key crosscutting elements of CSA-Plan. 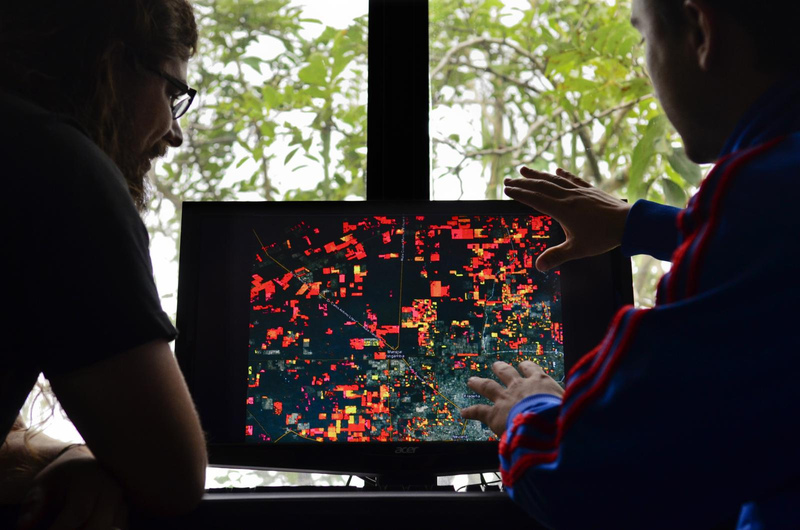 Developed in cooperation with the World Agroforestry Center and CIAT, CSA-Plan can be applied across levels of decision making and allows for exchange of information between levels to maximinze alignment and integration of information and planning. The CGIAR Research Program on Climate Change, Agriculture and Food Security (CCAFS) and the International Center for Tropical Agriculture (CIAT) have taken on the challenge of developing a framework for prioritizing investment in CSA that is evidence-based, yet realistic in that it can move forward in the face of data and resource constraints. 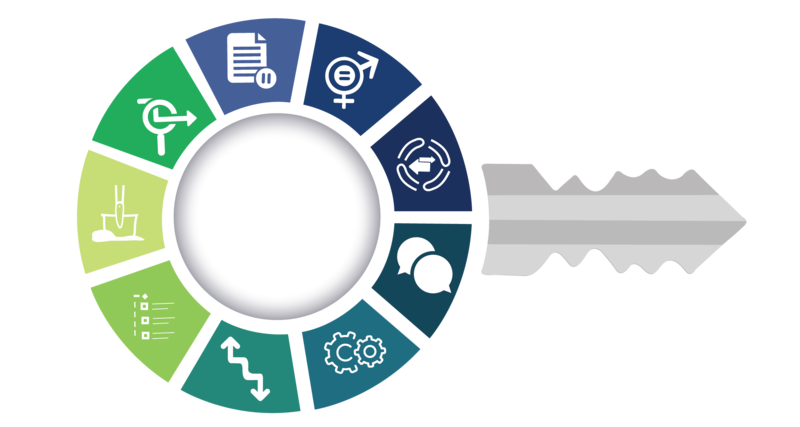 The prioritization framework uses a four-phase approach to guide stakeholders through the process of filtering a long list of applicable CSA practices into portfolios of priority practices. The phases are additive, with each refining the previous outputs. The process generally takes between 4-8 months, and can be simplified and still provide valuable inputs into investment decision-making. The 5Q approach asks just 5 simple questions at regular intervals to each one of a project’s stakeholder groups (e.g., farmers, project implementers, and donors) and rapidly analyzes their answers to assess if the project is on track, and if not, adapt quickly. Answers are collected through a means best suited to each group, such as face-to-face surveys, mobile phone apps, web apps, and participatory video. Responses are automatically stored in a central database, processed, and disseminated through an online dashboard to visualize changes – for example in knowledge, attitude, skills, and practices – throughout the project cycle. The 5Q approach can revolutionize M&E in development, making it responsive and effective, and ensuring mutual accountability and integration of stakeholders in a new way. Donors and implementers can be better connected to the beneficiaries. Research and development projects can be more flexible, adaptable, and impactful. Based on satellite information from NASA, Terra-i is smart enough to distinguish between natural losses and those caused by human activity – and can also monitor habitat change in non-forested areas, such as savannahs and deserts. The cost-effective system is based on the premise that natural vegetation follows a predictable pattern of changes in greenness from one date to the next brought about by site-specific land and climatic conditions over the same period. A computational neural network is ‘trained’ to understand the normal pattern of changes in vegetation greenness in relation to terrain and rainfall for a site and then marks areas as changed where the greenness suddenly changes well beyond these normal limits. This analysis is refreshed with new imagery every 16 days and for every 250m square of land. 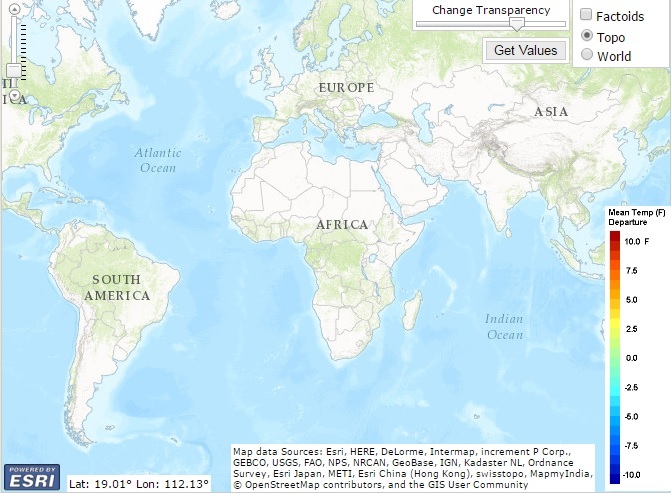 The portal produces and makes high-resolution climate data available to the public. It now contains about 14 terabytes of easy to use, open access datasets of climate projections that will help researchers make climate change impact assessments. The portal can support research in a variety of fields related to biodiversity and agriculture, particularly crop modelling and agro-climatology. 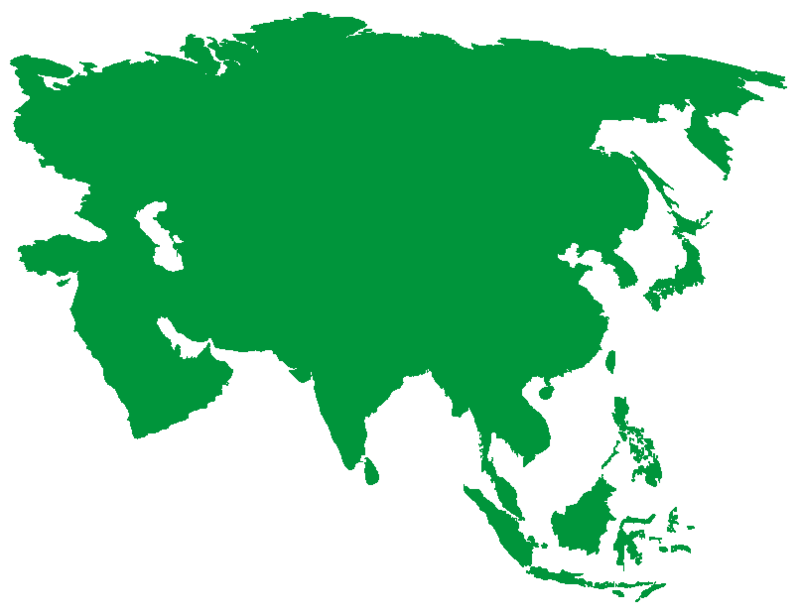 Applications include assessing ecosystem functioning, options for policy-making, and food security and adaptation planning. 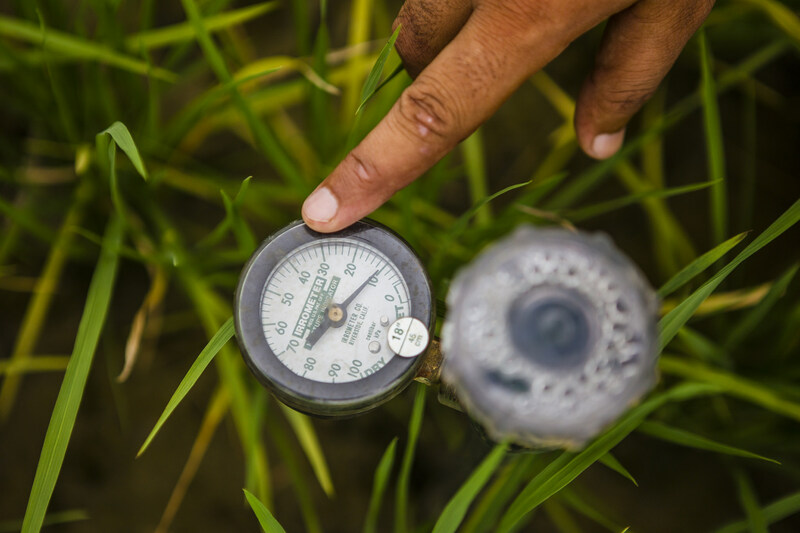 In Colombia’s Córdoba Department, 170 rice growers with 1,800 hectares followed a recommendation not to plant in one of two growing seasons and thus avoided losing money they would have spent to cover production costs. The recommendation was based on climate simulations carried out by CIAT, which projected low yields under expected weather conditions, including lower rainfall and reduced solar radiation. 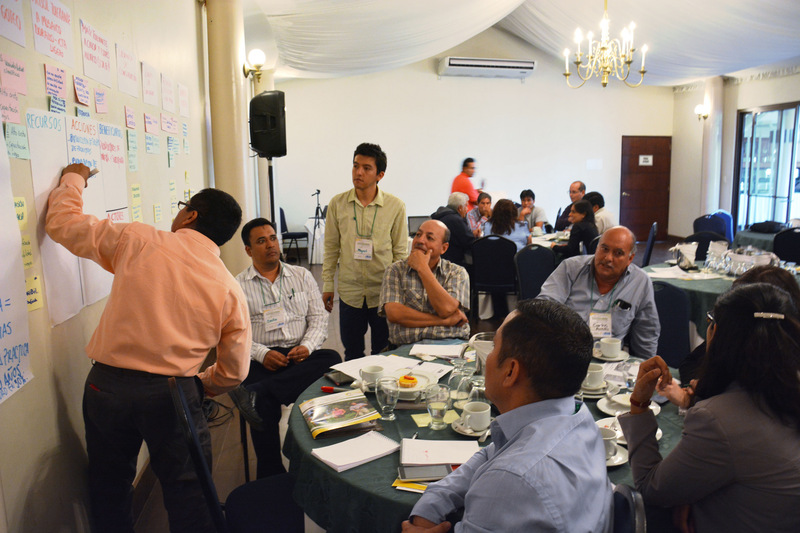 As a direct result of CCAFS research, Nicaragua launched a National Adaptation Plan for Agriculture (NAPA). CIAT’s impact analyses and engagement in private and public sector policy meetings contributed to the plan, which includes measures for adapting smallholder coffee farmers’ livelihoods to climate change and diversifying coffee-based incomes as priorities. The plan attracted major investment for adapting coffee and cocoa production to changes in climate. The International Fund for Agricultural Development (IFAD) has provided USD 24 million to help coffee and cocoa farmers adapt to changes in climate. CIAT and its partners, in 2015, for the first time, used the models to show the impact of climate change on staple crops, and when changes in policy and practice need to take place in sub-Saharan Africa.